New chairman of the Fiji Sugar Corporation (FSC) Vishnu Mohan. The Prime Minister and Minister for Sugar, Voreqe Bainimarama announced the appointment of Vishnu Mohan as chairman of the Fiji Sugar Corporation (FSC) yesterday. Mr Mohan took up the position after former chairman, Abdul Khan relinquished his position as executive chairman. Mr Khan, however, will continue as chief executive officer of FSC. Mr Mohan’s appointment will come into effect on August 8. He is the former Australia and New Zealand (ANZ) Banking Group chief executive officer (CEO) for the Pacific and Fiji. The Prime Minister decided to appoint Mr Mohan after extensive consultations and discussions within and outside the Government to identify someone with a strong record of executive business leadership and successful management, particularly in the banking and agricultural sectors. In naming Mr Mohan, the Prime Minister pointed to his highly successful background in managing agricultural commodities and his significant experience in the financial sector as major considerations. “Given the importance of our sugarcane industry, we are constantly exploring ways to improve existing systems and appoint the right people to the right jobs at all levels,” Mr Bainimarama said. “That includes ensuring that we have skilled and steady strategic direction at the very top. “Mr Mohan has consistently demonstrated that he has the talent, experience and know-how to create complex financial solutions and develop the kind of sustainable strategies for growth that our sugarcane industry needs and our sugarcane farmers deserve to prepare for the challenges and opportunities that lie ahead,” said the Prime Minister. The Prime Minister said in selecting FSC’s new chairman, the Government looked for leadership qualities that would translate into good governance and, most importantly, improved outcomes for our sugarcane farmers. “We’ve found that in Mr Mohan,” Mr Bainimarama said. Mr Mohan has over 30 years of experience in Corporate and Institutional Banking and Consumer Banking, covering the Middle East, North America, Southern Africa, West Africa, Thailand, Sri Lanka and Singapore. He also led ANZ’s businesses across 12 countries in the Pacific region which covered all Retail, Commercial and Institutional customers, products and operations. Also he looked after Fiji as its Country CEO with a strong understanding of Pacific markets having previously been CEO Papua New Guinea and Pacific North West region. Prior to this, Mr Mohan spent some time as an Advisor with ANZ’s partnership bank AmBank in Malaysia. Before joining ANZ in 2009, he had a long career in Standard Chartered Bank where he held many senior executive roles including CEO of Standard Chartered Bank in Ghana, Thailand and Sri Lanka, before being appointed as the Group Head of Islamic Banking. He worked extensively with the FSC during his time as ANZ CEO for Fiji and the Pacific, and was instrumental in developing a $91 million export-finance facility for the FSC. He also led ANZ to its highest-ever net profit after tax in the Fijian market. During his tenure with Standard Chartered Bank in Ghana, he was actively involved with the global annual export-financing syndicate of the Ghana Cocoa Board – a total facility ranging in value from USD350-600 million. Under his leadership, the Board achieved lead mandates for the syndication of cocoa valued at USD 300 million (FJ$618.05m) in 1998 and 500 million in 1999. He was also instrumental in developing a $91 million export-finance facility for the FSC. 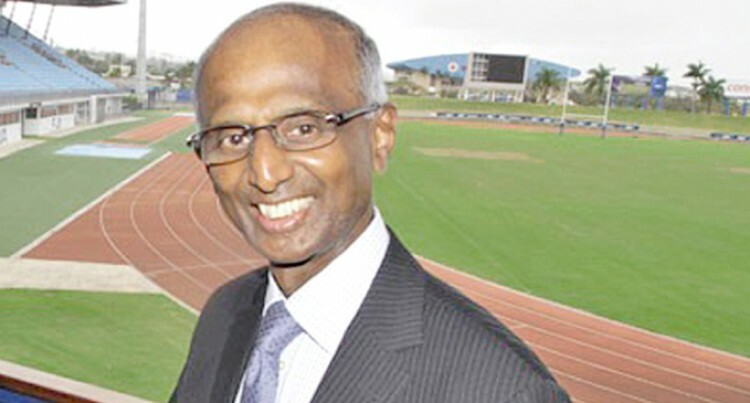 Mr Mohan also led ANZ to its highest-ever net profit after tax in the Fijian market.